Laser tattoo removal pricing varies. Just as the price of each tattoo is determined by the details such as size and placement, our laser tattoo removal cost list below presents the cost to get a tattoo safely removed. We remove tattoos of all sizes. The prices reflect removal of a colored and black ink designs. To clarify, all final laser tattoo removal pricing will be determined by an Indy Schedule a free consultation with and Indy Laser Skin Specialist. Indy Laser offers affordable tattoo removal in Indiana. Multiple sessions are needed to eliminate a tattoo. For that reason, you can purchase as a single treatment or a package of 6 treatments. Below you can select a price to learn more about that removal service. Tattoos are permanent. However, there are advanced lasers capable of breaking up the ink. As a result, the body’s natural system absorbs and eliminates the tiny ink particles. Given that tattoos vary in depth and saturation, it takes more sessions to undo a tattoo that involves more ink. On the positive side, your tattoo that was once permanent will be be gone forever. We can undo your tattoo with a customized treatment plan. It is designed to fade away your tattoo that you no longer wish to see. This process of fading a tattoo can be helpful when working on a coverup tattoo. For instance, to alter a current tattoo we can begin the process by lightening the appearance. With this in mind, we can lighten a section or the entire design. It is important to realize that the tattoo will take time to completely remove a tattoo. There are many different reasons tattoos are removed. People choose tattoo removal not only because of a mistake in the design but also because things just change. Regardless, if you are just not feeling the ink anymore – get your tattoo removed by Indy Laser! 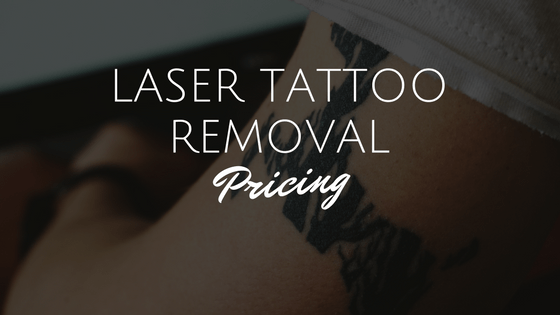 Viewing our Laser Tattoo Removal Pricing and then Schedule A Free Consultation. Larger than 6″ x 6″ or unique shape, schedule a free consultation for customized pricing.